What our customers are saying about our Holiday Cottages In Rowrah To Rent. 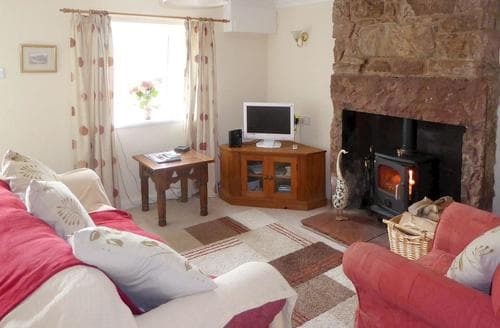 "The cottage itself is set in a beautiful location. The local services are excellent. However the cottage suffers from a leaky roof and very poor ventilation. Upon entering the cottage my wife had a severe reaction to the damp and mold resulting in a minor chest infection. The built-in cupboards and wardrobes in the bedrooms have no ventilation or air circulation, resulting in a very strong damp / mold smell. They are clearly also never opened and allowed to air-out. The results were that my wife couldn't stay in the master bedroom, but was forced to sleep on the setee in the living room, as it was the only place she could breathe.During the second night, after some rain, a large damp spot, the size of a dinner plate, appeared on the ceiling in one of the childrens bedrooms. Despite our best efforts, it never dried out all week.This damp was compounded by the way the heating was controlled. All the main heaters in the property were electronically programmed (and locked) to drop to 8 degrees at 'night', which was set to 7pm. Sadly due to the hour changing on the first day we were there, they actually dropped to 8 degrees at 6pm! This resulted in us having to wear coats and jumpers in the evening and being unable to dry out the damp and leaky areas, as we couldnt get the property warm enough.To add insult to injury, we were greeted by a card when we arrived, stating that since we would be using more fuel than normal, the lardlord insisted we contribute an additional £20 cash toward the running costs for the week!Additionally, the electric hob / oven controls were completely worn off the face of the applicance, making using the cooking facilities somewhat of a gamble as to whether food would be burnt, or undercooked. On the last day, we found a card in a drawer with the controls drawn on, but this was too late for the holiday.It is a shame as the property has a great deal of potential. But needs considerable funds spending on getting it warm, dry and well ventilated (and the heating controls released) before I would ever consider staying there again." "My family thoroughly enjoyed our stay at S44468. 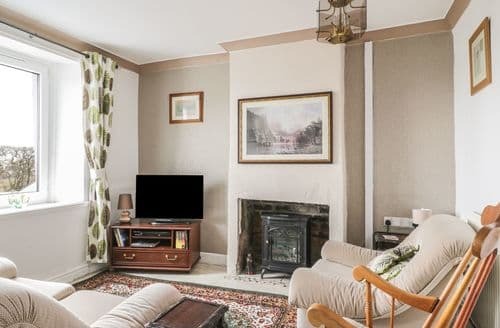 The general description of the cottage was pretty accurate although it did neglect to mention that there is a largish comfortable attic room (steep stairs) which my children loved to disappear up to. Also there is space under cover outside at the back sufficient for storing four or five Mountain Bikes.During our week we did have issues with drying clothes - after the recent hot weather the boiler hadn't been used for a number of weeks and required visits from two different plumbers before it finally worked properly ... 18 hours before we were due to depart. This caused considerable difficulty in drying clothes which was made significantly worse by the absence of a drying rack of any description so we couldn't even hang things in front of the wood burner.Being in a more remote location it provides slightly better value for money than some of the more central cottages, but don't let this put you off. Less than 2km from the end of Ennerdale water the village is ideally suited for biking or walking along the Ennerdale valley or using as a base for bigger days out taking in such peaks as Scoat Fell, Pillar, Hay Stacks and High Stile.The nearest shop is about 6 miles away but the village community centre sells hot snacks and also stocks a few essentials. In addition there're two friendly local pubs, both providing reasonably priced traditional pub food and an excellent range of ales on hand pumpGo again: Yes, Recommend: Definitely"
"This is a lovely cottage in a fantastic area. It was emaculately clean and maintained very well. There was even a gate to the stairs to keep your four legged family downstairs. We had very mixed weather and the heating was excellent and we used the wood burner to cosy it up further. The garden is basic but perfect for purpose. The kitchen is well equipped and tea making supplies were provided on arrival. Upstairs the main bedroom is large and the bed was very comfortable. Long walks and a warm bed made for a very rejuvinating time. There was a fantastic information pack with everything you could want to know. The dog walking suggestions were excellent and the fishing lake is only a 5 minute drive for a lovely walk. Further afield there is Loweswater and Ennerdale with great walking, or Scafell Pike if you're feeling energetic. 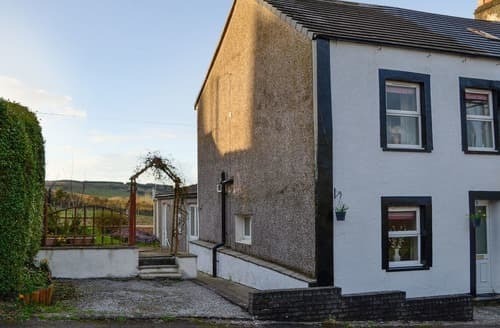 I've given 10's for amenities because whilst Asby is fairly remote, it's a short drive to find things you need, and the rural setting is why we booked it. There are plenty of pubs around and the information pack has loads of suggestions. 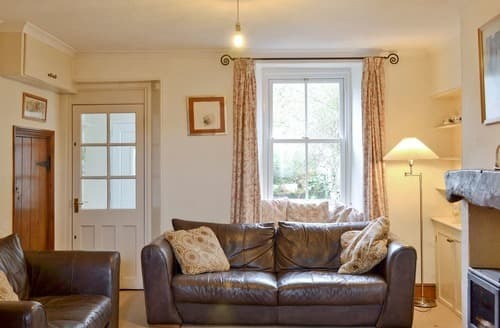 All in all it was a wonderful holiday in a beautiful part of the country, and the cottage could not have provided more for the two of us and our two dogs." "Unfortunately the master bed was extremely uncomfortable. I recommend that they change this as I could never stay there in that bed again. A comfortable bed means a lot, especially when you are on holiday.Mobile phones do not work there and the telephone kiosk no longer takes coins. I tried the kiosk using my credit card unsuccessfully and managed to get my card blocked which just inconvenienced me for the rest of my stay. The cottage definitely needs a telephone, so I can make emergency calls and can be got in an emergency.The confirmation letter said the key safe was on the wall outside. The key safe did not open. It was broken. We did not know there was a second key safe as it did not say in the letter. It was very dark. 01:00 am with no lighting to see. We were very tired and unable to get in. Our phones did not work in the village, so we had to drive for miles to get a signal to ring the emergency number. Why leave a key safe that does not work there! Why didn't you tell us that there was a second key safe that we would not be able to find easily in the dark?" "Spotlessly clean, very well equipped. They are they first things I'd like to say. 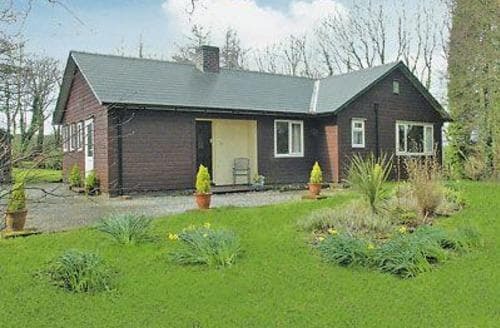 This is an ideal cottage for exploring the western part of the Lake District and coast line. But I'd like to say the garden is quite small and not very suitable for small children to play. There is, however, an excellent play area within five minutes walk. The pub nearby (Fox and Hounds) do very good meals and at reasonable prices. Good local ales too. There may be comments regarding traffic noise. This is for a short time in the morning and afternoon as the road is used to access Selafield. I suggest you use it as an alarm clock and get up and get up the hills. It isn't a problem. The cottage has broadband with a decent connection speed. It has BT Vision too. The bathroom has a huge shower and heated floor. 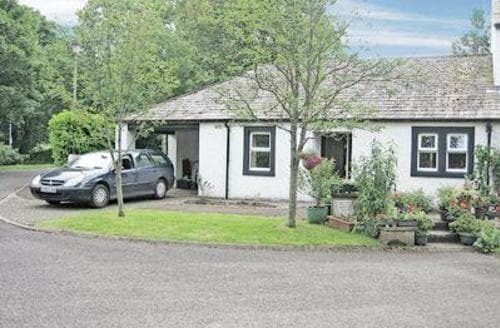 I would recommend this cottage, as it is well kept, and very good value for money."